The tight pull from combined pretendinous/natatory cords can also rotate and overlap digits, and may require web space release. Longstanding cases develop secondary capsuloligamentous and joint surface changes, and incomplete correction is to be expected even when the secondary pathology is addressed surgically. 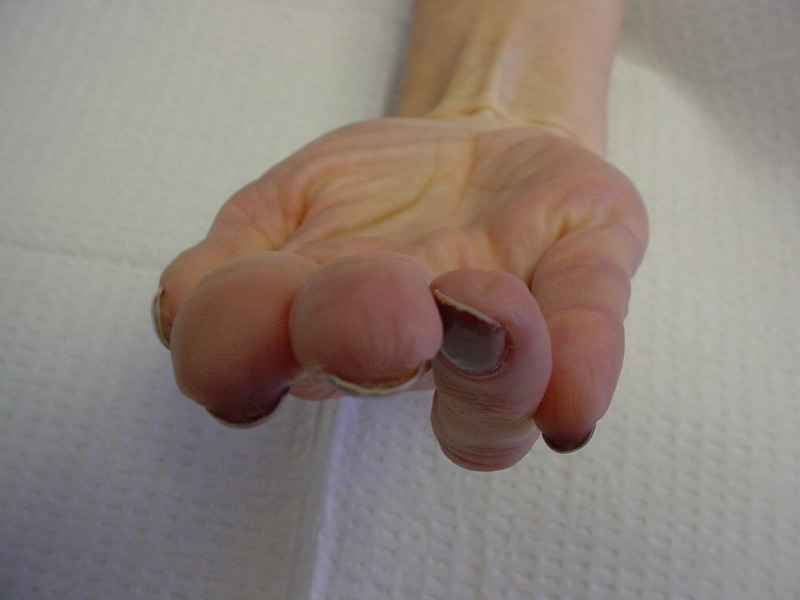 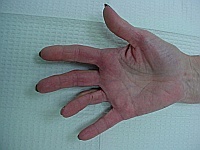 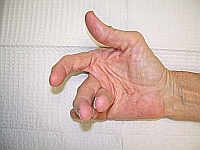 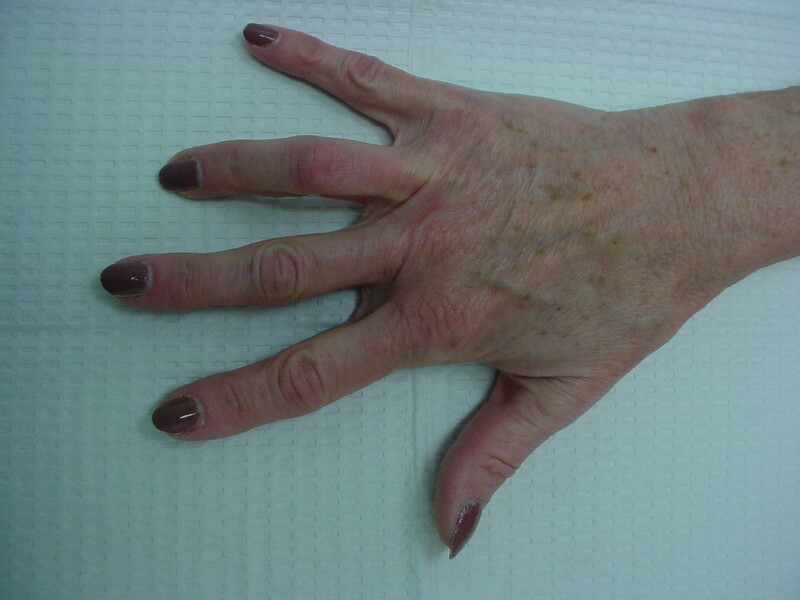 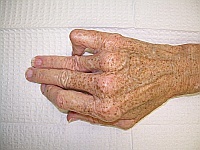 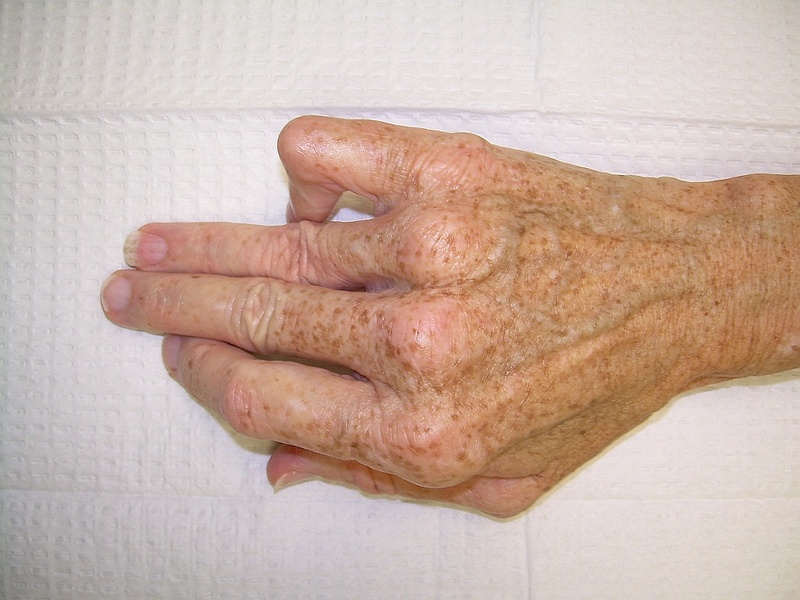 It's tempting to consider a derotational osteotomy, but unless combined with a distal fusion, the soft tissue pull will simply rotate the joint enough to offset the effect - that's what happens following a proximal phalanx dorsal closing wedge osteotomy to attempt to correct a PIP flexion contracture from recurrent Dupuytren's - it fails, completely, because the joint simply flexes more to match the attempted gains from osteotomy.